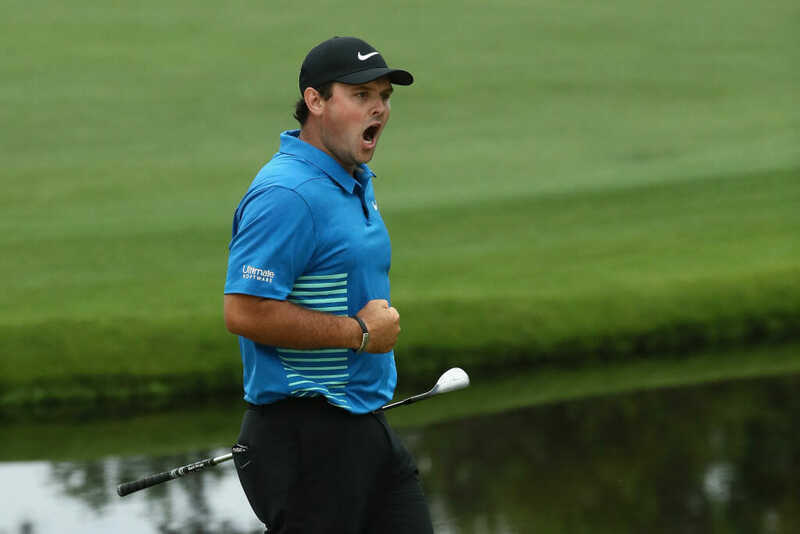 It did not take long for the mind games to begin between Patrick Reed and Rory McIlroy heading to the final round of the Masters. Reed leads by three shots on 14-under par as he seeks a first Major Championship in just his 17th Major Championship and coming off a T2nd in last year’s PGA Championship. McIlroy, of course, is desperate to make amends for his 2011 Masters meltdown in what is his 10th Masters, and as he strives to become just the sixth golfer in the history of the game to win the coveted Grand Slam. At their post third round press conference, it was first McIlroy who suggested all the pressure over the final day of the year’s first Major will be on Reed’s shoulder and Reed, who followed McIlroy into the Media Centre, then suggested otherwise. Reed laughed off the suggestion “I am leading. I mean, I guess so (laughter),” said Reed in response to McIlroy’s comments. “But at the same time, he’s trying to go for the career Grand Slam. You can put it either way. I mean, honestly, I mean, I woke up this morning, felt fine. Didn’t feel any pressure. Just came out and tried to play some golf. While both players will not wish to be drawn into a head-to-head struggle Reed says he’s actually looking forward to the last day. “It’s going to be a lot of fun. Obviously we’re both playing really solid golf, and you know, to be able to go into a final round on Sunday at the first major to go up against each other and go out and play some good golf, it’s going to be a lot of fun to go out there”, he said. Nobody has ever posted 4 rounds in the 60s at the Masters and if Reed re-writes that piece of history while starting with a three shot lead he will be hard to catch. Masters Sunday almost never goes to script though. Either way this will be another epic Masters Sunday.